The EU referendum is fast approaching, so you will need to look out for the Electoral Commission’s information booklet being delivered in the coming weeks. The message is simple: you can’t vote if you’re not registered by Tuesday 7 June. 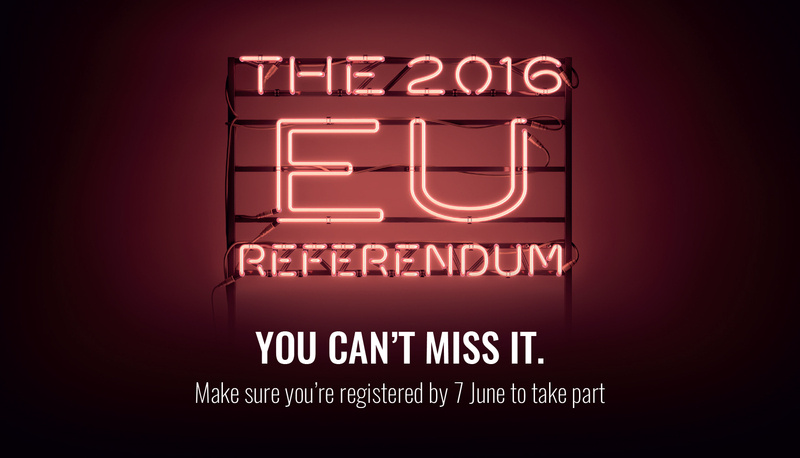 If you are already registered to vote there is no need to register again for the EU referendum. Ben Brook, Head of Performance and English Regional Teams at the Electoral Commission, said: “Keep an eye out for our information booklet which is being delivered to homes across the UK. It contains really important information on how to take part in this historic event.